A 50-year-old Birmingham law firm which collapsed gave employees just 30 minutes notice to leave the building, a tribunal was told. One worker who was on maternity leave only found out about the closure when a friend told her, and another, in the middle of a court case, was told mid-session she no longer had a job. Blakemores employed more than 250 people in the West Midlands when it went under - and now around 30 have been awarded government payouts because they had so little warning of what was about to happen. The firm, founded in 1961, was one of the best known in the region, and had offices in Coventry and Leamington, as well as the headquarters in Great Charles Street. The firm hit a cash crisis forcing the intervention of Solicitors&apos; Regulation Authority in March last year. It had around 7,500 clients at the time of the intervention and had outstanding work in progress estimated to be worth £4.2 million. Birmingham Employment Tribunal heard from 30 Blakemores workers who claimed they were given virtually no notice about the impending problems – with some having only half an hour to clear their desks. The tribunal approved "protective awards" for 90 days pay to up to 30 former employees – payouts funded by the taxpayer which will total around £90,000. Some told the tribunal that they knew the firm was in difficulties in the months before it was shut down but were told not to worry. Nuala Toner, representing the former employees, told the tribunal that Blakemores had made no attempt to tell their staff what was happening. "They turned up for work and were virtually told to go home," she said. Blakemores launched one of the UK&apos;s first ‘direct consumer marketing brands&apos; called Lawyers2You. The firm invested £5 million in the concept, creating a call centre at its Birmingham headquarters and setting up a string of outlets at shopping centres, airports, sporting events and festivals in the West Midlands. Trevor Moore, a cash and credit management executive with the firm, said: "I had suspicions that the partnership was in difficulties for several months prior to being intervened but the official line was that things were being sorted out and at no time did anyone suggest closing the firm. "The respondent would have been aware of the financial difficulties prior to the closure of the firm and I am aware there had been discussions with the SRA, Barclays and a funder (Hampshire Trust) about financial issues for many months before the closure of the firm." Jane Sabin, who had been a solicitor at Blakemores for four years, said: "I believe the partners at the respondent knew of the difficulties prior to my dismissal." One former Blakemores&apos; legal assistant, Samantha De Almeida Barros Perris, told how she had been on maternity leave at the time of her dismissal and had been told about the firm&apos;s closure by a friend. Another, Shelly de Worringham, told how one former colleague who was at court on the day of the intervention, was told to leave the hearing as "she no longer had a job". Tribunal judge Ann Benson found Blakemores breached the duty to consult. She said: "The SRA intervened into Blakemores and the partners of the firm gave no warning to any employees despite the SRA having been involved with the firm for several months. "Blakemores were aware of financial difficulties to the extent that they had external finance people in the office. "Prior to the intervention partners were seeking to transfer profitable parts of the business to other firms. "The partners misled the employees as to the seriousness of the financial situation. "The partners gave no consideration to the employees&apos; situation and were concerned only with protecting their own financial positions as far as they could. "Had they undertaken consultation the employees could have found alternative work but in the event they had no opportunity to do so." Miss Toner, added: "Employers with more than 100 employees should consult for a minimum of 45 days, either avoiding redundancy or mitigating the impact of redundancy. "The judge said they misled their employees as to the seriousness of their financial difficulties. "This is a success for my clients but it is a sorry day when the taxpayer has to pick up the bill and damages our profession hugely." 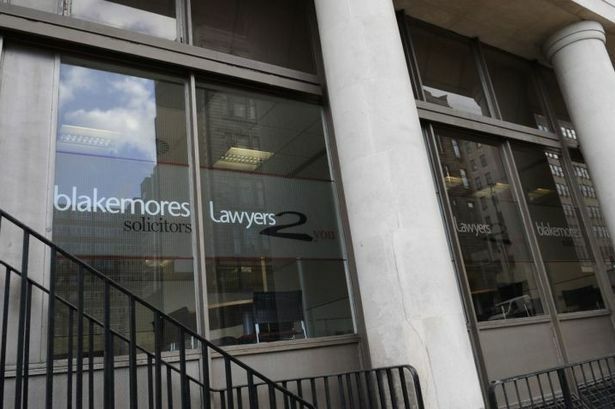 Four Blakemores Lawyers, including two partners, joined Leamington-based Brethertons Solicitors in the wake of the firm&apos;s collapse, while its civil litigation team, comprising three partners and other staff, transferred to Birmingham-based Shakespeares before its closure.